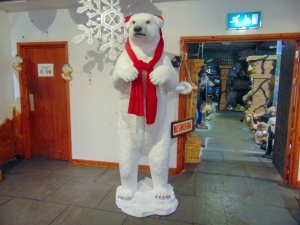 Our life-size Polar Bear stands at 7ft tall making this a spectacular model to use as a centre piece of an Christmas or Endangered animal display or the ultimate point of sale piece for Ice-creams and cold drinks. This 7ft tall standing Polar Bear figure is super to use in an Arctic or Polar themed area, as part of a Christmas display or to promote cold and frozen produce. 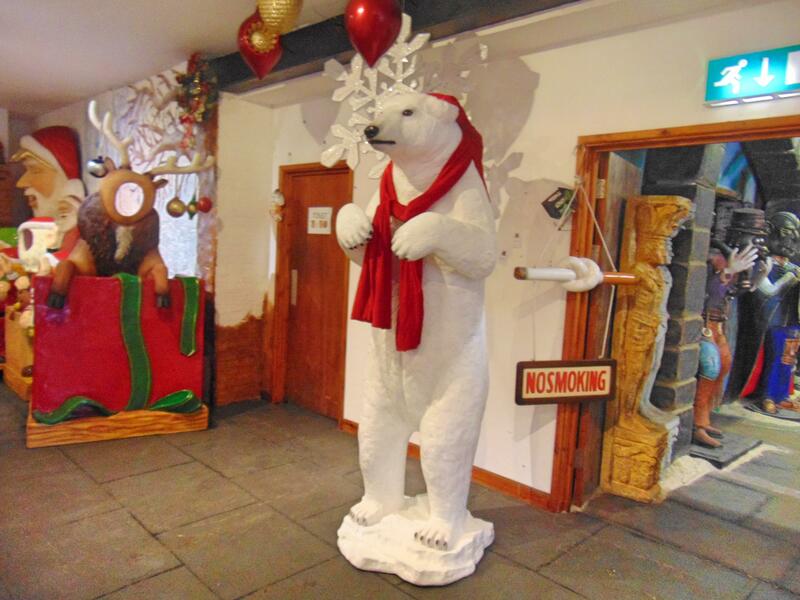 The figure looks fantastic with our Penguin models in a winter-wonderland/Christmas theme. This white bear can also be painted brown to order to make a fantastic standing Grizzly Bear for North American themes. 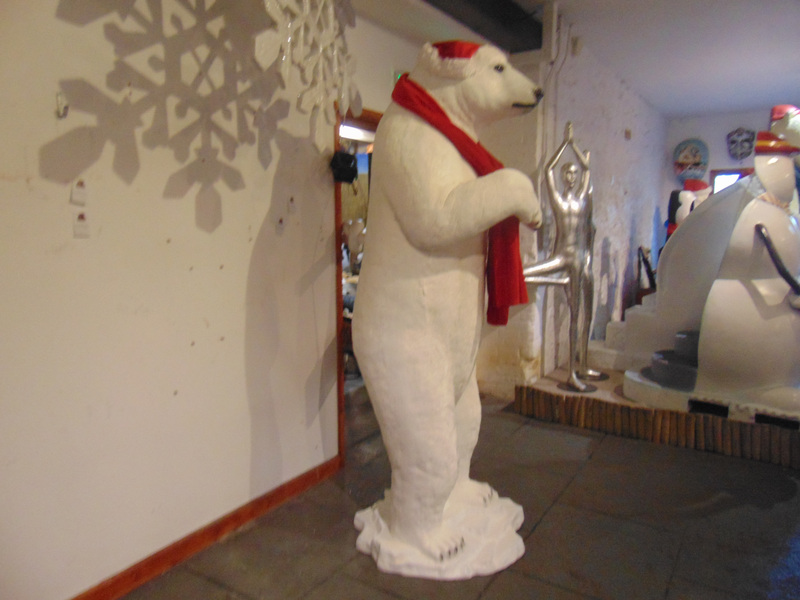 We also have a Polar Bear on all fours (JR 110009).